Hy-Vee brought forward the proposed changes in the Macomb liquor license to the city council. The city of Macomb will soon allow local stores to sell alcohol on Sundays. In a unanimous vote, the Macomb City Council approved several changes to local liquor laws including the addition of package liquor sales from noon to 9:00 p.m. on Sundays. Listen to the radio news report. The change is a first for Macomb, which has banned Sunday retail sales of liquor since prohibition with the exception of Super Bowl Sundays and in the event that New Year’s Eve falls on a Sunday. Locals have been able to purchase alcohol by the drink at local restaurants that pay extra for a special Sunday liquor license. Any retail stores interested in selling packaged alcohol seven days a week will need to apply for the special Sunday license and pay an additional $500 annual fee. That fee is on top of the standard $1,800 a retail establishment pays for a yearly liquor license to sell alcohol between 6:00 a.m. to midnight daily Monday - Saturday. Macomb Mayor Mike Inman said they've been talking about allowing Sunday alcohol sales in stores for the last few years. He said the city sought input from several local businesses, but ultimately it was Hy-Vee, the 24 hour grocery store on E. Jackson St., that brought the issue before the city council. 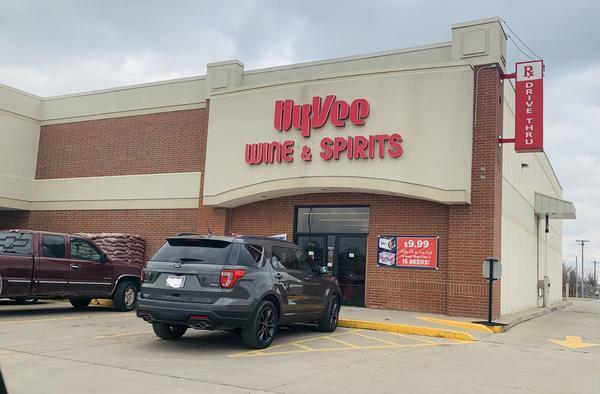 “One of the key license holders, the Hy-Vee operation, stepped up to the plate and helped us craft this ordinance so it would be sensitive to what their business goals and objectives are and also the greater community’s benefit of having package liquor sales on Sunday. We worked very well with them," said Inman. He said Hy-Vee actually has three liquor licenses with the city: one for the main grocery store, another for the gas station convenience store, and one for the restaurant that Hy-Vee’s catering services operates out of. Worley also asked for three other changes to the local liquor laws which were all approved by the city council. She asked for permission to keep alcoholic products on the sales floor at all times instead of having to move alcohol out of the reach of the public during non-sale hours. “An actual big piece for me is the display piece and being able to display [alcohol] throughout the store and not having the hassle of moving [a display] back and forth and the cost of the damage we incur from doing that,” Worley said. So an exception was made in city code for retail businesses open 24/7 that sell groceries, medicines, etc. as their primary sales commodity to be allowed to keep beer and wine displays in public areas all the time. But, other retail businesses will continue to block off public access to alcoholic products during non-sale hours. Worley also asked that the age requirement for store clerks able to sell alcohol be reduced from 20 to 18. “Our biggest thing is customer service, and when we have to require a 20 year old to scan the alcohol or finish the transaction that slows down our customer service level that we have on our front end and we always want to make sure people are getting in and out as fast as they can,” Worley said. Hy-Vee also asked the city to shorten the required notice period for product sampling from three weeks down to 10 days and for the sampling period to be extended from two hours to four. Copyright 2019 Tri States Public Radio. To see more, visit Tri States Public Radio.